TWIITER: ANOTHER SOCIAL MEDIA PLATFORM? Facebook, Google+, Twitter, Instagram, LinkedIn, Pinterest, Snapchat, Youtube, Blogs, and the list goes on with the expansion of social media platforms. 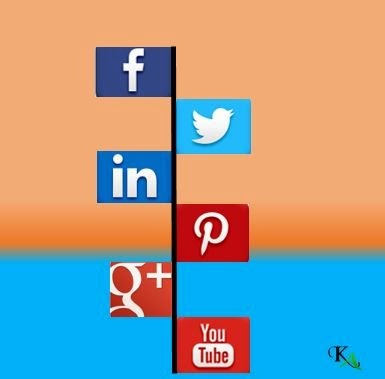 It is no news to anyone that social media is important to market one’s business, but the real question is ‘Which social media platform is required to promote your business?’ Before delving into this question, it is important to understand the need of business, what is that the business wants from social media. Brand awareness àBrand engagement àBrand loyalty which will ultimately lead to realization of profits. This is the real mantra with which business try to push their marketing strategies through Social Media. Due to increase in usage of internet, business expects buzz about their activities in few seconds. Business wants to generate leads, lower customer service inquiries, build relationship, distribute content and cultivate influencers to gain competitive intelligence, which compels them to use any of the above mentioned social media platforms. According to the statistics, it is estimated that the number will be 282.9 millions for social network users in India. Amongst the social media platform, Twitter is achieving new milestones at an increasing rate. This year Twitter announced that it has more than 200 million monthly active users which is an increase of 30% YoY. The contribution in the success of Twitter goes to Mobile which has reached to 184 million users, 76% of total active users on this social media platform. · 75% of the engagement on a Facebook post happens in the first 5 hours. · 53% of interaction between Google+ user and a brand is positive. · 44% of users on Twitter have never sent a tweet! · 84% of women and 50% of men stay active on Pinterest. · More than 2 users sign-up for LinkedIn every second. · 23% of teens consider Instagram as their favorite social network. · Weekends are the most popular time to share Vines. · 40% of YouTube traffic comes from mobile. · B2B marketers using blogs generate 67% more leads. The biggest advantage with Twitter is its way to distribute tweets. Though the word limit in every tweet is restricted to 140 characters, Hashtags provide ways to link the content and tweets together thereby making the content accessible to millions of people over the internet. The article is considered to be successful by its way of articulating things in first few lines, if first paragraph is good that only entices readers to read further. This is the same case with Twitter, with 140 characters it is important for business to market and position themselves strategically to make readers click on the link for the website, click on the link for the article, to retweet and to favorite it. Small businesses can usually harness the power of twitter to make their brand famous by providing content in niche category and making their fan page viral through links and hashtags. Marketing through campaigns is a common strategy on twitter for companies to reach the audience, to identify and target the potential customers, to understand the psyche of consumers, to increase the real-time engagement with consumers, to receive the feedback immediately and most importantly, to place the company in the minds of customers. Apart from campaigns, tweets by companies provide updates of their operational activities, new marketing strategies and financial strength. The promotion schemes is regularly updated through tweets to provide the company extra boost in terms of marketing. But with every advantage, there pertains a risk in using Hashtags. It is easy to hack twitter feed which in turn can damage the brand image. The links are usually means of hacking, so users remain uncertain in clicking the links. Moreover, using hashtags can lead to negative publicity as it is simple to hijack the hashtags for a specific company and to spread invalidated information over the net. On an average, twitter account has 248 followers (According to October 2012 study), which implies that account follows large number of other accounts. Due to this, tweets done by a business can be easily lost in ample number of tweets. In conclusion, twitter provides a better platform to connect with customers, to create brand awareness, to market new products, to provide information, to get immediate feedback, to manage online reputation, to increase sales through promotional campaigns, to monitor competition, to get real-time data of customers, to provide compact and direct platform to communicate and to act as an agent of change.